With nearly 20 years of Greater China media experience, Ms. McMahon is a highly respected executive in the media and tech sector. Hong Kong, China, October 26, 2017 /ChinaNewswire.com/ - Nina Xiang, Managing Editor and Founder of China Money Network Limited, the artificial intelligence (AI)-powered platform tracking China’s smart investments and technology innovation, today announced an important new addition to the company's founding team. Naveet McMahon, will be joining CMN as managing partner and part of the company's founding team, with effect from October 26, 2017. She will play a leading role in CMN’s overall business development strategy and accelerate the company's expanding presence globally, with the aim to making CMN the go-to source for cross-border investment opportunities in China using its bilingual data intelligence. 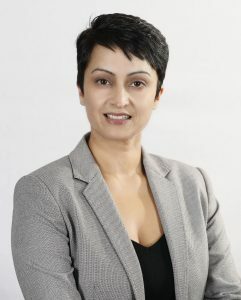 ”We are extremely pleased to welcome Naveet McMahon on board given her reputation and experience doing business within the Asia Pacific region," says Nina Xiang, founder and managing editor of CMN. "With Naveet's extensive knowledge in the financial and data intelligence industry, we are confident that she is the right person to lead CMN to new heights." Before joining CMN, Ms. McMahon was the Publisher and Director of Sales, Asia-Pacific at Remark, the market research and events division of Acuris, formerly Mergermarket Group. Prior to that, she held management roles at both FinanceAsia under the Haymarket Group and Euroweek at Euromoney Institutional Investor based in Hong Kong. Commenting on the move, Ms. McMahon says: "I'm looking forward to working closely with the CMN team of experts to develop new products and manage a new-generation information portal powered by the latest cutting-edge AI technology. By leveraging my experience in financial bespoke research and marketing strategies in Asia Pacific, I believe we can offer unparalleled innovative solutions, ahead of other data sources." At the same time, CMN announces that the company has expanded their team of advisors consisting of some of the industries top experts from the region. They include: Trevor Rowe, AO, Chairman (formerly Executive Chairman) of Rothschild Australia Limited; Fritz Demopoulos, co-founder of Chinese online travel search engine Qunar.com; and Andrew Toeh, founder of Chinese venture capital firm Ameba Capital. Founded in 2011, CMN connects the data points to give investors the tools to execute deals in China and beyond. By tracking forward-looking private equity, venture capital and technology innovation we deliver immediately usable data. CMN's core products include bilingual platforms www.chinamoneynetwork.com and www.zhongguojinrongtouziwang.com, innovative databank on China's cross-border deal, private equity, venture capital and technology innovation. Other services include: customized market research, podcasts, videos, rankings, awards and bespoke events. CMN is headquartered in Hong Kong and operates from offices in Shanghai, Beijing, Shenzhen, Hangzhou and Los Angeles. We are an independent business owned by our founding team and employees.